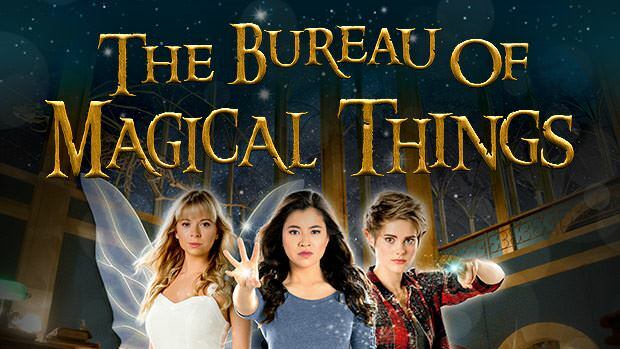 The Bureau of Magical Things is TV show about a girl named Kyra (Kimie Tsukakoshi). When Kyra went for a jog one night she saw a floating book due to her curiosity and she touched it. Little did Kyra know that her touching this magic book she would soon discover a whole new world of magic? After touching the book she all of a sudden started experiencing weird stuff like seeing a fairy named Lily (Mia Milnes) and an elf named Imogen (Elizabeth Cullen) that no one else can see. Aside from seeing things that no else can see, she has a power which of course she can’t control. Afraid of what happened, both Lily and Imogen try to reverse and take back the power only they were not successful. They decided to talk to Professor Maxwell (Christopher Sommers) hoping that he can help them. The Professor investigates and discovers that Kyra is a tri-ling (which is equal parts elf, fairy, and human). From this point Kyra lives a sort of double life and she attends Professor Maxwell’s classes. Only nothing is every easy or simple in life and an unknown threat arises and poses a threat to the magical community. She must work with her new friends to save the magical community. I guess that you will just have to watch it! Have you watched his show yet? What did you think about it? Comment right down below. This TV show is fun to watch. It’s perfect for children to watch. I thought that it was good however it’s not amazing.